I love orange. I’ve had orange hair, I’ve painted my walls orange, I use it endlessly in jewelry and paintings, I have an orange jacket and an orange purse (thanks mom! )…it’s almost become a color obsession, if one can have such a thing. I remember thinking orange and brown were the two ugliest colors in the world as a kid, so who knows why it changed suddenly. I don’t even know if other people like orange that much, but I just can’t get away from it for long. 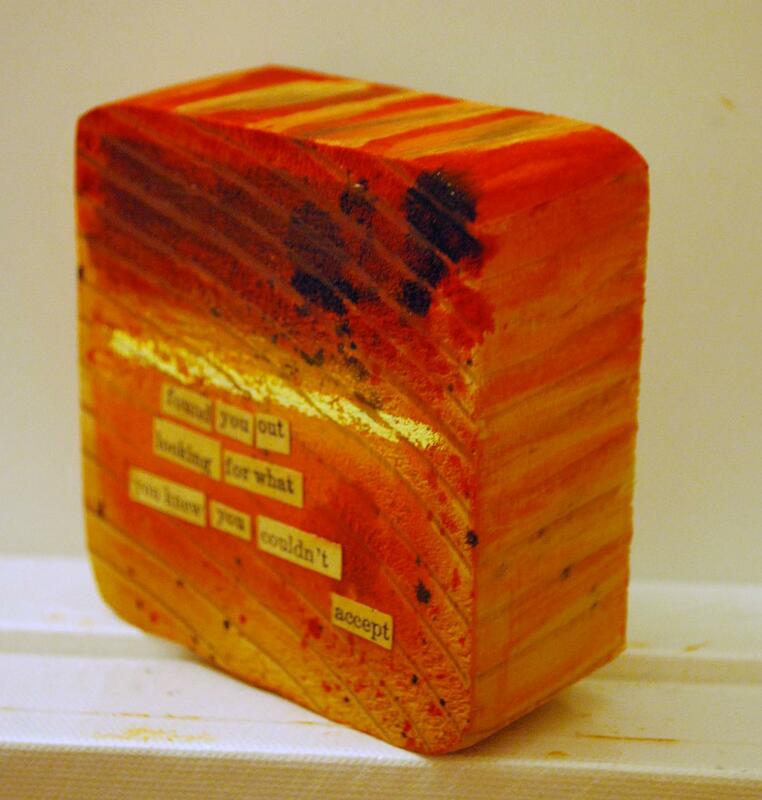 Today’s piece is another poem block (in orange, surprise! ), made with acrylic paint, liquid watercolor and snippets from a vintage Nancy Drew book on a slice of fence post. These poem blocks measure about 3.5″ x 3.5″ x 1.5″. 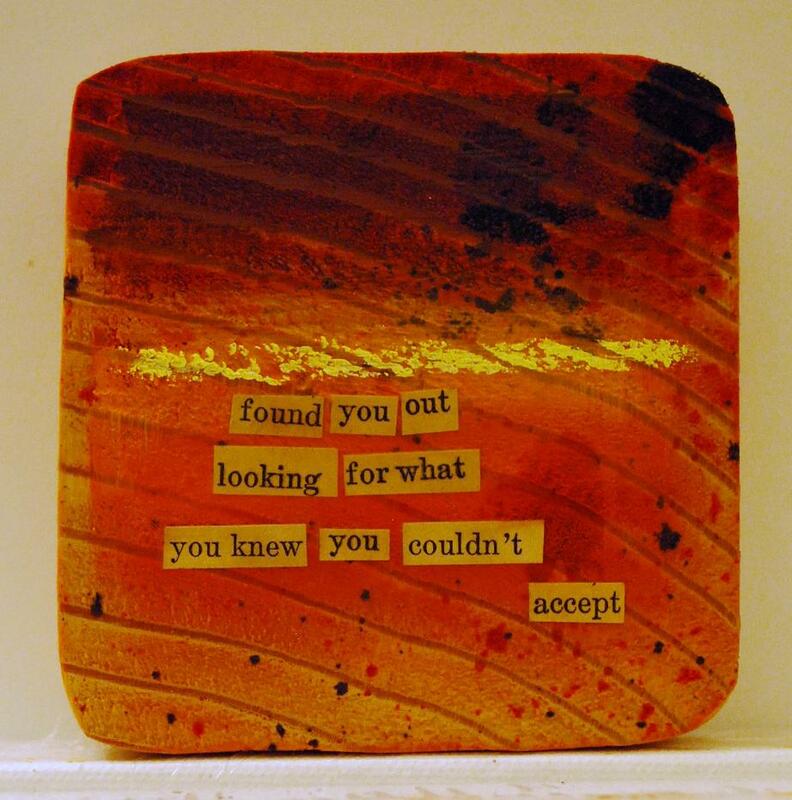 This one reads: “found you out/ looking for what/ you knew you couldn’t/ accept”. I also used a bit of oil pastel. The naples yellow provides a nice bright contrast on this orange-rust piece. The orange drips heavy down the top part of the block. Only four days left, boys and girls! I like orange. It’s a good colour. Personally, I find that I’m really drawn to red.